The European Parliament's decision last week to end the EU-Morocco fisheries agreement is a historic one, argues Stefan Simanowitz. Last week, on the afternoon of 14th December, Sara Eckymans, international coordinator of Western Sahara Resource Watch, sat intently in the public gallery at the back of the voluminous semi-circular auditorium of the European Parliament. Beside her a group of bored school children fidgeted. In front of her, a full house of MEPs attending a plenary session were asked to vote on a proposal to extend the EU fisheries agreement with Morocco, allowing European vessels to continue fishing the waters off occupied Western Sahara. The MEPs pressed their buttons and, within seconds, the vote appeared on screens around the hall. Eckymans, who has campaigned on the issue for over six years, jotted down the figures. Votes for: 296. Votes against: 326. Abstentions: 58. The auditorium erupted into applause. Ecykman’s pen and papers fell to the floor. Tears coursed down her cheeks. “I’m sorry” she explained to the bemused teacher sat beside her, “something historic has just happened”. The decision was indeed historic. The Fisheries Partnership Agreement between the European Union and Morocco was signed in 2005 and controversially granted licences to 119 EU vessels – predominantly Spanish – to fish in Morocco’s Atlantic waters. However, the agreement failed to distinguish between the waters of Morocco and those of Western Sahara, meaning that EU vessels were fishing the waters off Western Sahara’s 1,100-kilometre coastline. The agreement officially expired at the end of February and a one-year extension to the agreement was approved by a small majority in the Council of Ministers in March. However, pressure for the Parliament to reject the extension had been building. In November, both the parliament’s Budget Committee and the Development Committee recommended that the fisheries agreement be stopped and the 2010 publication of a confidential legal opinion showed that the European Parliament’s Legal Service viewed the fishing by European vessels in Western Sahara’s waters to be in violation of international law. This view supported that of the UN Legal Adviser, Hans Corell, whose 2002 legal opinion for the UN Security Council on Western Sahara’s natural resources made clear that exploitation of the territory’s resources could only be considered legal if the Saharawi population were consulted and benefited. This consultation had not taken place and according to human rights activist Aminatou Haidar speaking earlier this year, “[t]he Saharawi do not benefit at all from this agreement. Instead it only intensifies their oppression”. 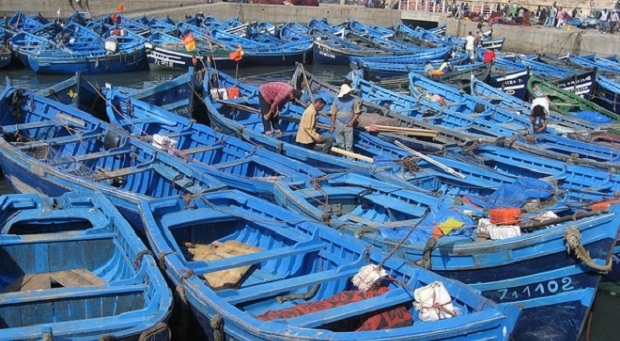 In response to last week’s MEP’s decision, Morocco ordered foreign fishing boats operating in its waters to leave immediately. Despite the fact that the annual loss of the 36 million Euros ($47 million) paid by the EU for fishing rights will have little impact on Morocco, and that the EU decision was perhaps motivated more by the agreement’s poor profitability rather than considerations of international legality, the decision is nevertheless politically important. After nearly 36 years of Moroccan occupation and over 20 years of waiting for a promised referendum on self-determination, the people of Western Sahara have had precious few victories on the international political stage. According to Elarbi Messaoud, Secretary of the collective of Saharawi Human Rights Defenders (CODESA), “the main significance of this decision by the European Parliament lies in the acknowledgement of the unresolved legal status of the territory”. Western Sahara is classified by the UN as a non-self-governing territory, a term used to describe a nation whose people are yet to attain a full level of self-government. Under General Assembly resolution 1514 (XV), the natural resources of Western Sahara should belong to the Saharawi people. In 2002, the UN Legal Counsel Hans Correll declared that exploration and exploitation activities are being carried out “in violation of the principles of international law applicable to mineral resource activities in Non-Self-Governing-Territories”. General Assembly Resolution 63/102 of 2008, called on Member States to take: “Legislative, administrative or other measures in respect of their nationals and the bodies corporate under their jurisdiction that own and operate enterprises in the Non-Self-Governing Territories that are detrimental to the interests of the inhabitants of those Territories, in order to put an end to those enterprises”. This has not been done and despite many attempts to break the long-running diplomatic stalemate, progress towards a resolution of the conflict has been tortuously slow. For Sara Eyckmans the result came as a shock. “Not a single hair on my head was expecting this result” she admits. “I cannot find the words to describe the emotions of Saharawi I spoke with on the phone following the vote: they were crying out of sheer joy and amazement”.